What is the ‘Brand Story’? 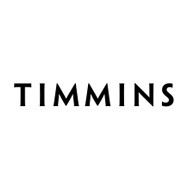 The brand story is the unique impression of Timmins that people will remember long after visiting or interacting with our community. Our brand story is that we are resource-rich, and we welcome people and businesses who are looking for opportunities to build on those resources. When you come to Timmins, there are resources of all kinds, for everyone. We’ll help you find an opportunity to make the most of those resources, whether you’re a business, a family or a visitor. Our community wants you to succeed, whatever your definition of success is. And we have the services, the facilities and the people to help you do it. What do we want people to remember about resources in Timmins? Timmins is a city of resources and opportunity. When we talk about resources, we don’t just mean minerals and trees. We mean people, knowledge, technology, fresh air, water, skills and a northern quality of life. But we are also THE experts in engineering, business, management, labour and and remediation in mining and resource extraction. We can teach the world how to “do it right”. What do we want people to remember about opportunities in Timmins? We’re booming: we are growing more than most other places, especially in Northern Ontario. What do we want people to remember about the lifestyle in Timmins? Access to some of the best Canadian outdoor recreational experiences (e.g. 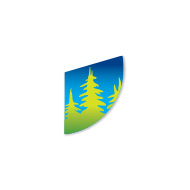 snow mobile trails, cross-country skiing, snowshoeing, community hockey, running trails). We’re the ideal size: not too big and impersonal, not too small and uninteresting. Small-town feel with big-city amenities. Many opportunities for work, study, play, socializing, raising kids. How can we tell the ‘Brand Story’? Talk up Timmins! Be an ambassador! No one wants to hang out with people who are always pessimistic, complaining, or down-in-the-dumps, right? It’s the same thing with cities. Be positive about the good things we have, and help address some of the issues we need to work on. Let’s be optimistic about our future, because that kind of attitude is contagious. Using the brand messages, the visuals and logo in your promotional material will help build a consistent image of Timmins. If you’re a business or individual that doesn’t create a lot of promotional material, you can still help by talking about the city with pride! Add the logo to your email signature line! Put an “Im In” logo sign in your window! During the Timmins 2020 Strategic Plan process, residents said they wanted a way to feel proud of the community. They recognized that Timmins needs to blow its own horn a little more, and that we need to promote the great things we have going for us. But we need to do this in a consistent way. If we all get behind the same message and promote it, the message becomes much more powerful. 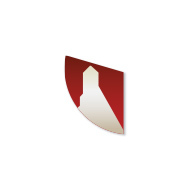 That’s why we now have a community brand and logo…it’s something we can ALL use to promote our city. The Brand Story was developed through community effort, research, consultation and public participation. Approximately 1,000 people participated in the development of the brand strategy, through workshops, surveys and interviews. The circle “Medallion” brings all the themes and elements together, and if you look closely you may even see the letter “T” in the negative space. The circle is an important First Nations symbol representing unity, inclusiveness and life. The typeface is called Penumbra. Used in all caps, it creates a strong, bold word mark substantial enough to hold its own with the other elements in the logo. A subtle serif adds a small dose of visual interest and flair without taking away from the sturdy feel. The lower left section shows the iconic McIntyre head frame that is so closely associated with Timmins. It symbolizes Timmins strong, hardworking industrial past, and its deep connection to mining. It shows pride in our history, without focusing on where we’ve been at the expense of where we are headed in the future. 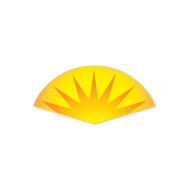 The top section shows a rising sun, symbolic of a bright future, opportunity and promise on the horizon. It also brings in the yellow and gold colours so important to Timmins. The lower right section brings in the green and blue hues of forest, water and sky. This represents the natural landscape that is important for resources, tourism, and the outdoor lifestyle Timmins affords us. so it really speaks to our pride in this city. 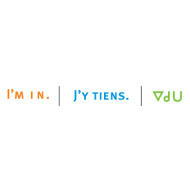 The I’m In phrase is represented in English, French and Syllabics, and shows our commitment to the community and region where we work and play. It is a rallying cry we can promote with pride, and an anchor to positive messaging within our community, and to the audience we want to reach outside the community. It tells everyone that we’re proud, and we want people to join us! It entices others to find out what Timmins has to offer them.